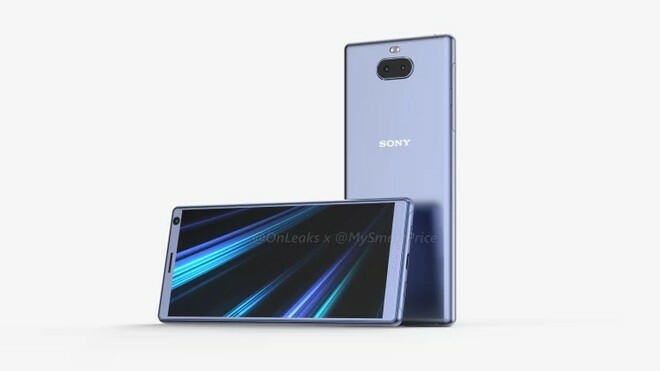 After the leak of the Xperia L3, now Sony Xperia XA3 is also shown in the early unofficial render, again thanks to the ever-prolific OnLeaks. New Sony Xperia XA3 render is based on CAD files and the device also confirmed its existence to the EEC and TENAA certifications, which follows a little in the footsteps of the elder brother Xperia XZ3, but not too much. The edges are rather thin, both on the sides, below and above; no news on the notch and other current trends such as round screen edges; there are a headphone jack and a dual camera on the back. Not much is known about the technical specifications. OnLeaks, however, has very precise details on the dimensions – considering the material used to create the render: 155.7 x 68.3 x 8.4 mm, with 0.5 mm more at the rear camera. The display should have a diagonal of 5.9 inches and should adopt an 18:9 aspect ratio. Some of the hallmarks of the Sony design philosophy remain, such as the camera shutter button. A fingerprint scanner is not immediately visible, so it is safe to assume that it is located on the power button. Sony Xperia XA3 could be launched with Sony Xperia XA3 Ultra, but it is not clear when.